Amazon Marketing Services (AMS) is used to create ads for books, which use keywords so they’ll get in front of someone searching for books to buy. 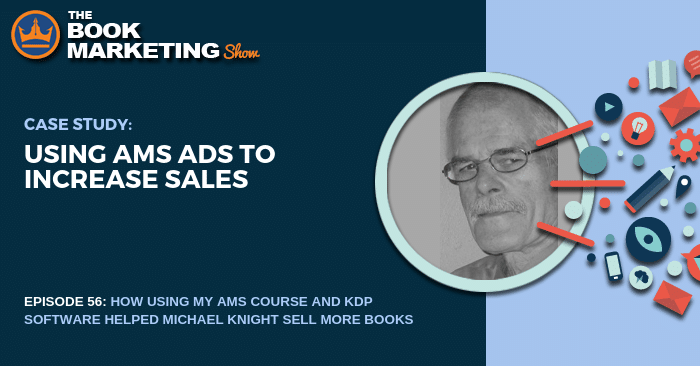 With the help of my free AMS course and KDP Rocket software, our guest on today’s episode was able to see significant changes in the sales of his book through the use of AMS ads. We talk today about some of the things he learned in the course and how it helped him sell more of his books. By the way, this isn’t a course that’s going to up-sell you to buying something else. Everything I’ve learned about AMS ads is in the course, and these are the same things I’m paid to talk about when consulting with companies. One of Michael’s first mistakes was he didn’t give the ad enough time to be able to see results. This is a common problem with AMS reporting, since it is usually delayed. Give it time before pulling the plug, as Michael was about to do. The other thing Michael was concerned about was dropping certain keywords. From my perspective, it’s a lot of work to drop those keywords from your AMS campaign. What’s nice about Amazon is you only pay them if those ads show up in front of somebody and they click it. If they don’t click on the ad, you don’t have to pay Amazon. Taking away keywords is just an extra step you don’t necessarily need to take. You’ve got to expand your thinking and put yourself in the mindset of somebody who’s looking for something similar to your own book. If you’ve generated keywords for your AMS campaign through KDP Rocket and thought they weren’t a match, try them just in case. You may find your book will appeal to people searching for something that doesn’t seem related at first. The example I use is using the term “astrophysics” for a sci-fi book. While it may not relate specifically to the book, you may find someone searching for an astrophysics book is also a fan of sci-fi books. We also talk in other episodes about the importance of your AMS ad getting in front of just the right audience. Using tools like the free AMS course and KDP Rocket can get your book in front of someone, but hopefully you’ve also taken the time to create a captivating description and cover that makes the ad worth clicking. 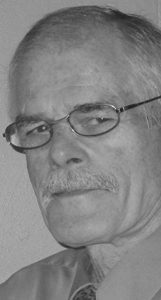 Michael Knight is an award-winning journalist who began his career in New Zealand in 1960, and since then has worked internationally in all media as reporter, cameraman, photojournalist, and documentary director, editor and script writer. He is an author, ebook writer, and is an award-winning short story writer. He has also used KDP Rocket and Dave’s free AMS course to help sell his books on Amazon.